Digitek, an Indian market leader in Photographic & Smartphone accessories today announced the launch of its platinum smartphone cable series. The series includes HD lightning cable (DPC 1M LTC), Micro USB HD cable (DPC IM MU), Type C data cable (DPC IM C) & 3.5 mm AUX cable (DPC 1.5M AU). All the cables are eco-friendly as they meet EU Environmental Protection Standard ROHS. 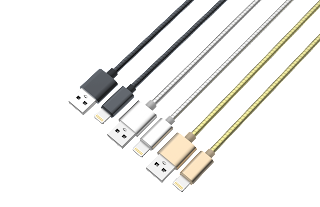 The tangle-free HD lightning (DPC 1M LTC), Micro USB HD (DPC IM MU) & Type C data (DPC IM C) cables are equipped with enhanced USB 2.0 metallic connectors that allow a steady power supply & high-speed data transmission. The cables have been extensively tested & provide best in class performance to match the needs of the discerning users. 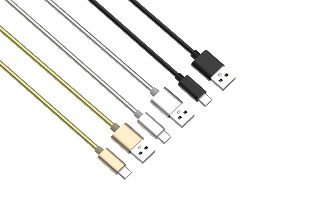 These 1 meter long cables are compatible for various devices such as iPhones, Android phones & Macbooks respectively. The new DPC 1.5M AU AUX cable with standard plating 3.5mm jack is composed from TPE & Aluminum alloy shell, enabling the cable to be durable and wear resistant for a long-term use. The cable has a premium copper core for excellent audio signal transmission and offers wide compatibility with Smartphones, Tablets, Mp3 Players, Car Stereos, Portable Speaker etc.